Last year, Uwpork introduced the Job Success score, which was a way to measure how well a freelancer was performing. Along with this metric came the Top Rated badge. Of all the items in the list, the most important and hardest to control is your job success score. This score is determined by your interaction with clients. For example, if you complete a job and the client rates you badly, your job success score drops. If the client rates you well, or hires you for a long term project, your score increases. Thus, the main thing you need to do to become top rated is satisfy clients each time, which in turn will improve your job success score, and as soon as your score gets to 90% (and the other conditions quoted above do not hold you back), you become top rated. I was fortunate to be among the top rateds from the beginning, with a job success score of 94%. Over time however, I have been able to nurture that score and I currently have a 100% job success rating. In this post, I will be explaining what I have done to attain the highest possible score and a top rated badge, and how you can do the same. This is a known tip for success at Upwork. If you doubt you can do a job, do not apply for it. Some freelancers are tempted to apply for, or accept invitation to just any job that comes along, especially when they haven’t been hired for some time. However, it’s wise to refrain from jobs, and even reject invitations if you are not sure you can accomplish the task. I have rejected many such jobs, and still gotten enough to pay the bills and keep the upwork rating system super happy with my performance. Please note however that I’m not saying you should not take on challenging projects, you should if you have the skills necessary to get it done. A while ago, I was hired for a long term research position. The second day into the job, I submitted my first work product and started waiting for the client to respond. I am still waiting to this day. When I didn’t get a response from the client, I went back to check my work if there was something wrong with it, but if anything, I had gone the extra mile to make it good. After some time, I decided to research the client to see what other freelancers have said about him, and as it turned out, hiring people and forgetting about them was part of his process. I finally had to beg him to end the contract, and was so relieved when he did. Since then, I have made it a point of duty to research clients. You should too. If you notice that a client tends to end his contracts with bad feedback and feedback scores given to freelancers, stay away. The same holds true if feedback from freelancers to the client are also negative. Poor communication could ruin just about any project. Before starting a project, ensure you understand what the client wants. If you do not, ask questions. During the project, get in touch with the client as often as possible and inform him of the progress you have made. Also, keep your phone close by, or check your email regularly so the client can reach you quickly if he wants to pass a message. When you communicate effectively with a client, the project will be more successful. Equally importantly, the client will be more inclined to give you a good feedback, hire you for a long term contract, or rehire you later on – all of which helps your score move up. If a client expresses even the slightest bit of disappointment with your work, ask the client what you can do to make it better, and then go about doing it. Of course every once in a while you will meet a client with unreasonable expectations, who you may not be able to satisfy completely. Nonetheless, as much as possible, try to ensure you leave each client with a smile. If you noticed, the sample message above includes the phrase “please end the contract and___”. This is very important. 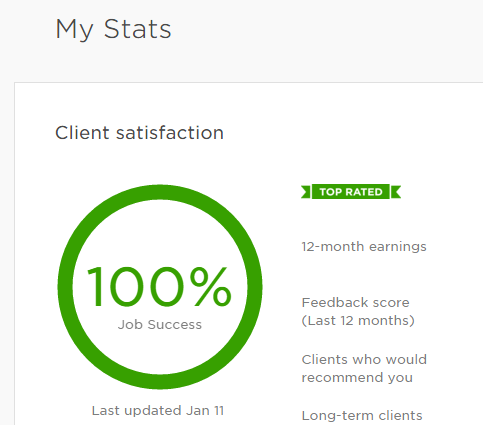 If you close a contract yourself, Upwork assumes the client was not satisfied, and this will reflect negatively in your job success score. Upwork believes a client will only retain you for a long term contract if you are skillful and your performance is good, and indeed there is truth to that. Since long term contracts improve your score, it is wise to focus more on them. I personally prefer contracts that last 6 months or more. The more active you are, the more opportunities you have to wow clients and improve your job success score. 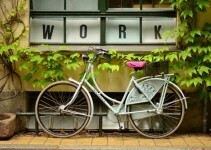 Besides, Upwork requires that you make at least $1000 per year before you can be top rated.Please read the following articles to learn tips that can help you score more jobs. Check My Stats page regularly. The information on this page can help you know how your efforts are paying off, as well as possible improvements you need to make. If you get a job invite, respond as soon as possible. 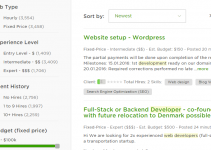 Upwork tracks your response in the stats page, and if you take long to get back to clients, it could, at the very least, impair your chances of scoring jobs. Following the tips I’ve shared in this post, I was able to nurture my job success score to 100%, and in the process strengthen my position as a top rated freelancer. I know the tips will work for you too. If you have any other tips to share, or questions to ask, please drop them in the comments below.